There are several options for exploring a community from each community homepage. 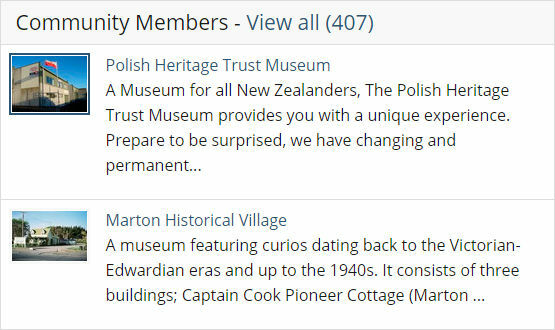 You can view a list of community members, and search and browse objects grouped together as a community collection. The Community Members section lists all the collectors who are part of the community. The Explore Collection section displays objects that members have published to the community. You can view all of the objects in the collection or you can choose to view records by object type. You can use the Search box to find objects in the community that meet your search criteria. 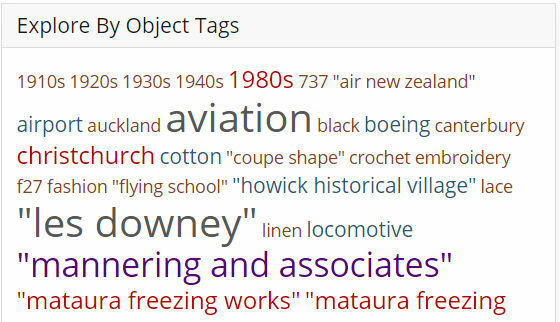 Explore By Object Tags displays the most common tags used for this community’s objects. Clicking on a tag will bring up a list of all objects that have been tagged with this word or phrase.